This was a great dish. 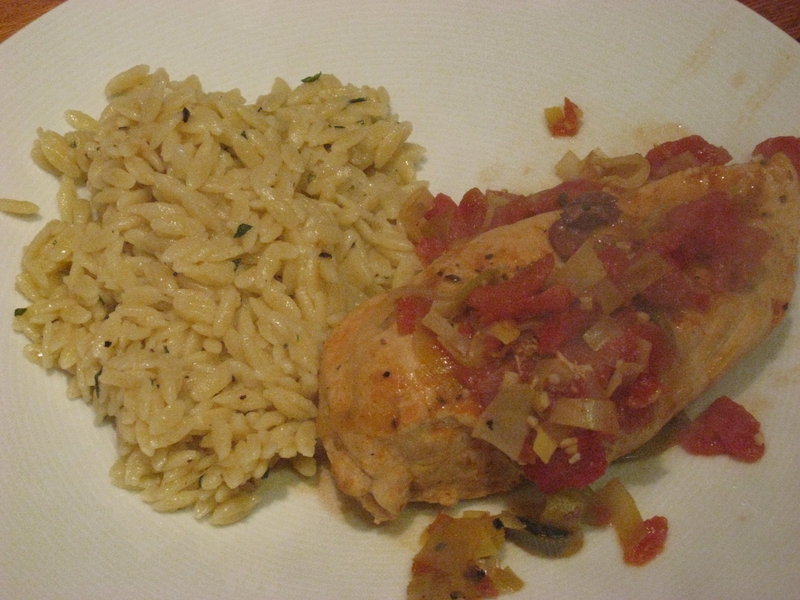 Michael loved it all and I thought the orzo was so simple yet super flavorful! 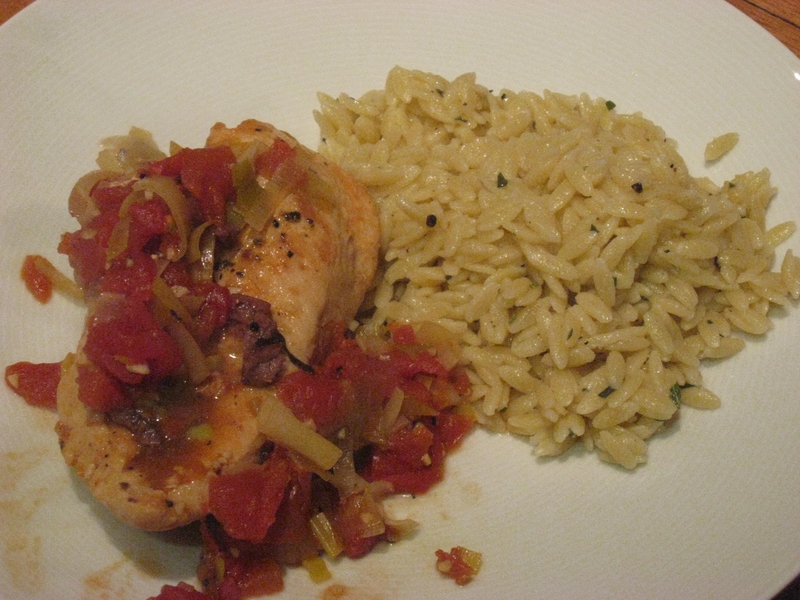 I forgot to drain the can of tomatoes so it took me longer to reduce the sauce, so please do not make the same mistake I did 🙂 Although I did not eat the chicken, I knew this was going to be a good one because I love these flavors. Tomatoes, Olives, Leeks and White Wine, OH MY! YUM! Enjoy! Check out those boiling bubbles!!! Pat chicken dry with paper towels and season with salt and pepper. In a large heavy flameproof casserole pan or deep skillet, heat oil over moderately high heat until hot but not smoking and brown chicken in 2 batches, transferring with tongs as browned to a large plate. Turn on the fan, unless you want to the smoke detector going off 🙂 Add wine to casserole and boil, scraping up browned bits, until almost evaporated. 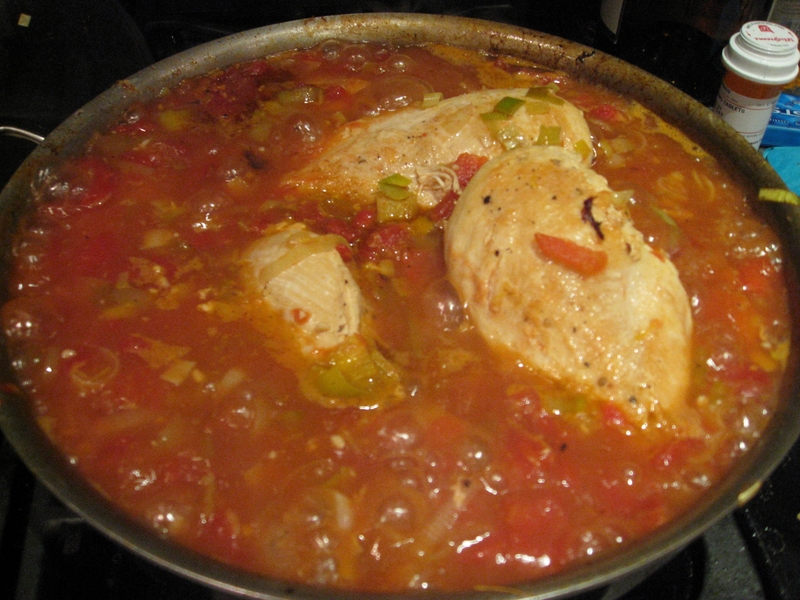 Add garlic, leeks, broth, tomatoes, zest, and chicken with any juices accumulated on plate and simmer, covered, turning chicken once, until chicken is cooked through, about 15-20 minutes. Transfer chicken to a platter. 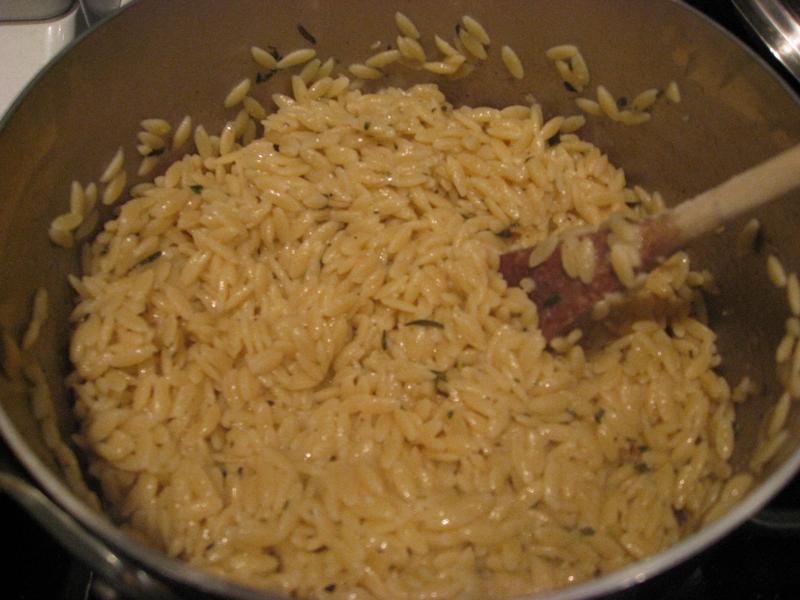 Bring a 6-quart saucepan of salted water to a boil and cook orzo until tender, about 10 minutes. Drain orzo well and in a large bowl toss with oil, rosemary, and salt and pepper to taste.